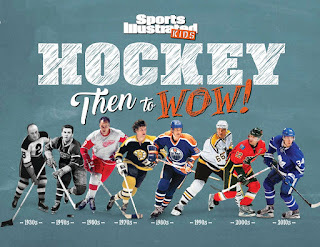 A RUP LIFE: Sports Illustrated Kids Hockey Then to Wow! Sports Illustrated Kids Hockey Then to Wow! We are a hockey family. I think that hockey actually trumps football in our house. When my husband and I first started dating we went to many hockey games seeing the Philadelphia Flyers. Living in South Jersey that is my local team and I tend to support the home team. My husband is a big New York Islanders fan. Can you imagine the competition on game day here? We were fortunate to travel all the way to NY to see our teams play there as well as seeing them many times in Philly. We used to go see the Philadelphia Phantoms with the boys when they were still local but sadly they moved to another location. All that to say - we love hockey! I was excited to receive the new Sports Illustrated Kids book Hockey Then to Wow! This is a comprehensive look at hockey through the ages. It features a real historical look at the game and players. This is a wonderful book for any hockey fan. The comparison of past and present adds a wonderful element to this book. In Hockey: Then to WOW! readers see how the cool sport has evolved from the early days of its 19th century origins to the game as it is today. Using NHL action photographs, illustrations, stories, and trivia, the book is a journey through time both for hockey fans and those who are new to the game. Kids will learn how basic equipment has changed from a ball to a puck. Players throughout history are stacked up against each other in every position so fans can dream up the perfect fantasy team with Wayne Gretzky playing alongside Patrick Roy and Stan Mikita. A fun-filled section of the book explores everything fan culture-from the best ice rinks, to the iconic hockey sweater and the hockey haircut along with key aspects of the toughest sport around. Look for your copy at your local bookstore or online at stores like Amazon. 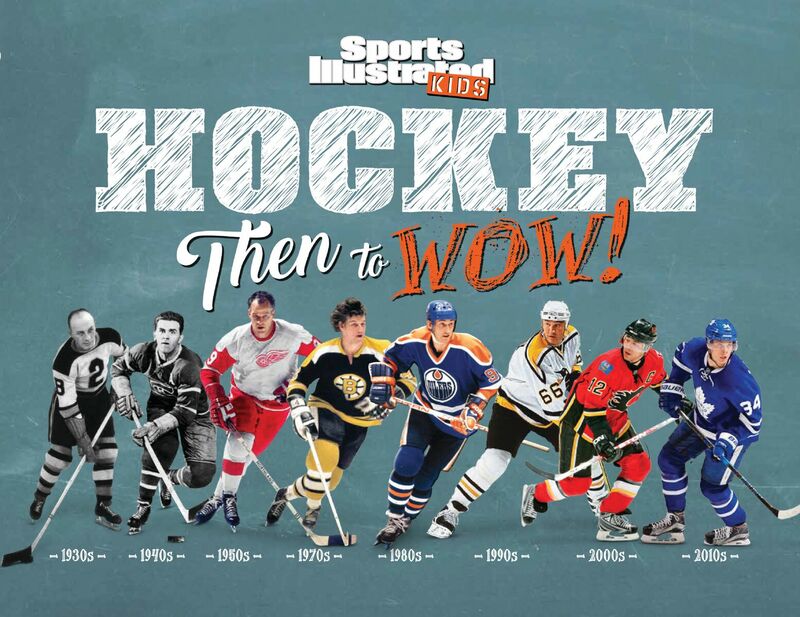 One lucky reader will win a copy of Hockey Then to Wow! we love the NEW YORK RANGERS! !